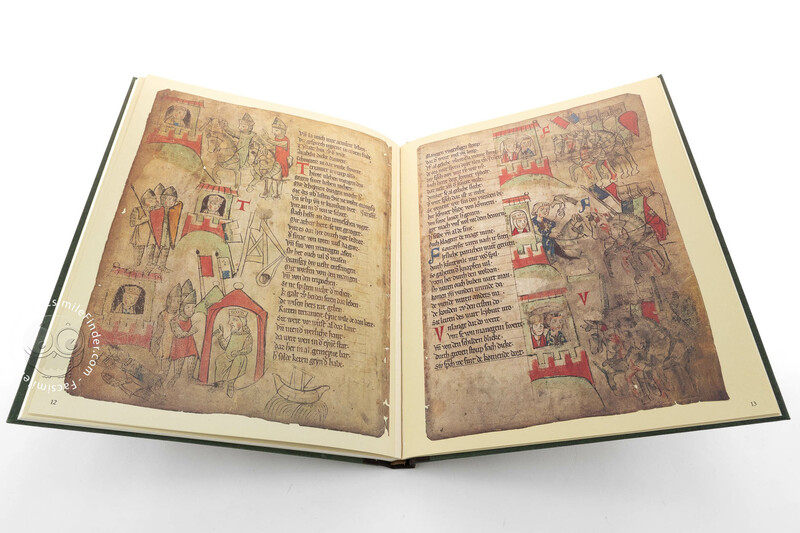 An extremely popular medieval text, the court epic entitled Willehalm is a poem of chivalric romance written by Wolfram von Eschenbach. Wolfram is a renowned poet of the Staufer period who probably lived between 1170 and 1220. 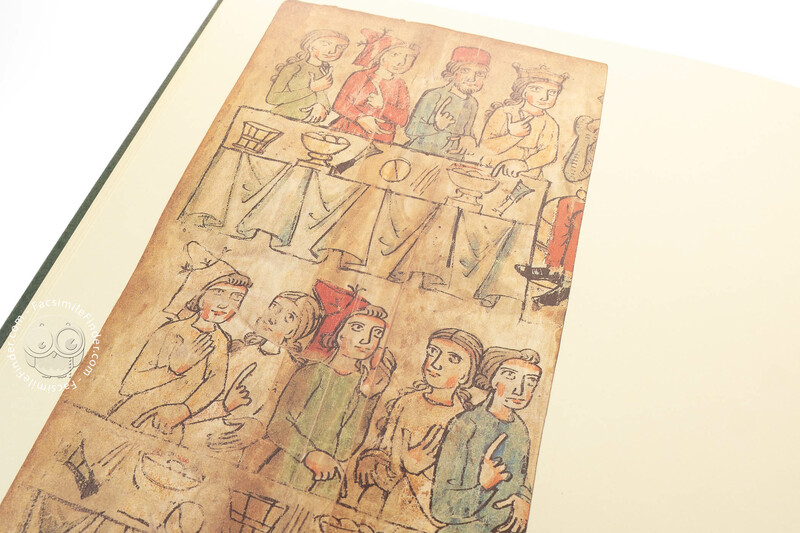 Author of the Parzival, Wolfram is generally regarded as the greatest of Middle-High German epic poets. 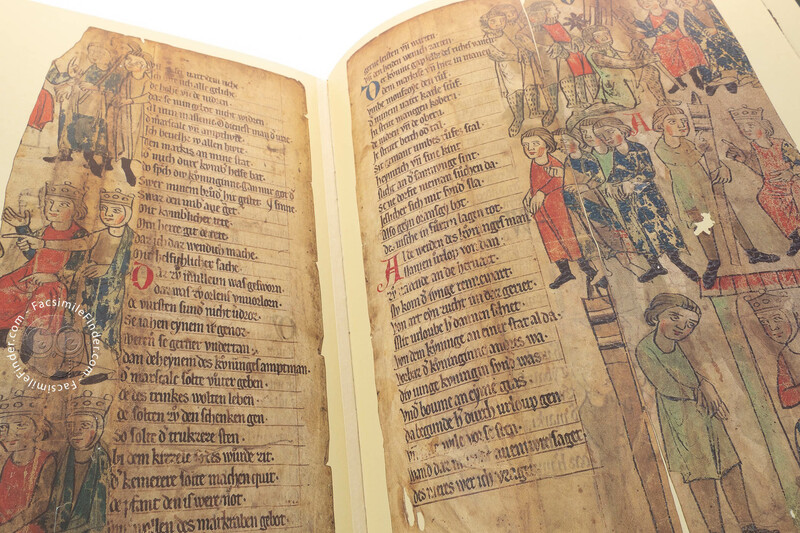 Composed in the early thirteenth century in German, the text inspired writers for many centuries. 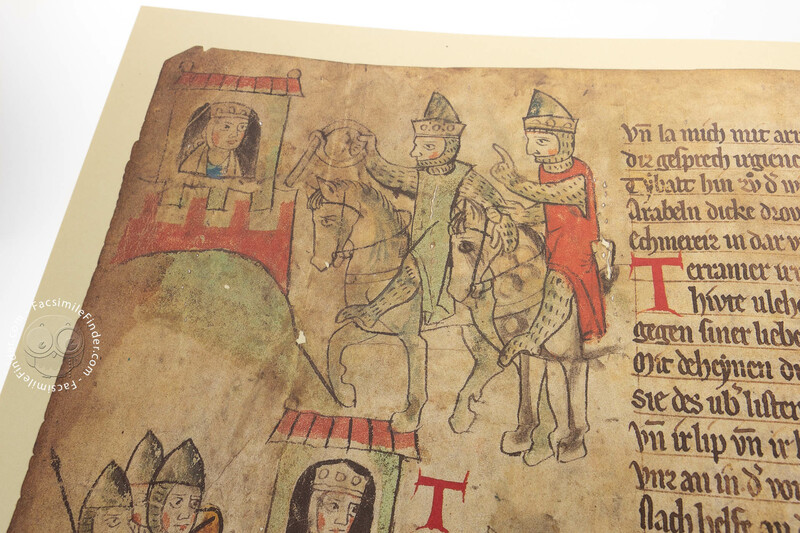 Almost nothing is known about the author’s life, who probably belonged to the German nobility. His verses explore a courtly romance in a sophisticated language inspired to the Classical tradition. 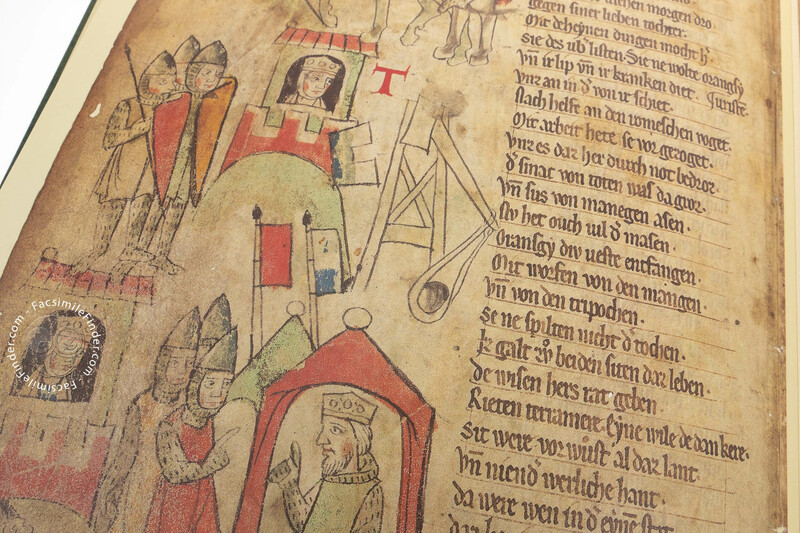 The Middle High German poem presents the courtly environment to which the author probably belonged. 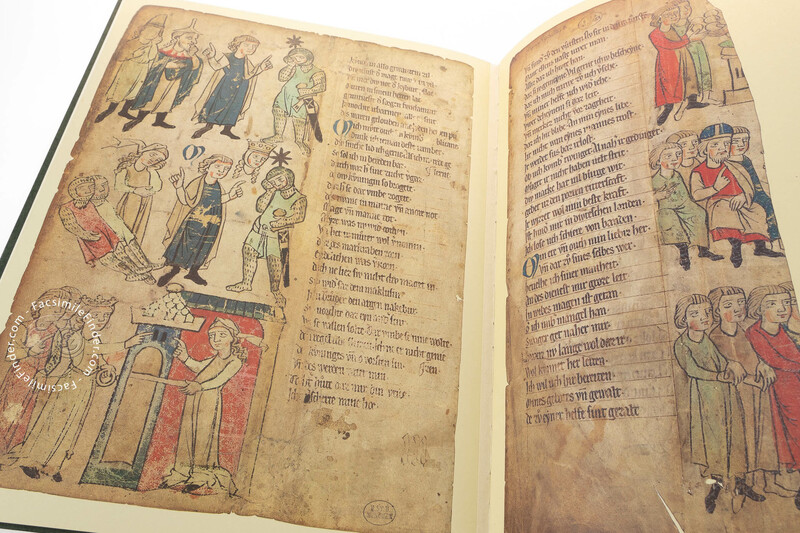 Single pages of the poem Willehalm are now kept in two European collections: the Austrian National Library in Vienna and the Germanische Nationalmuseum in Nuremberg. 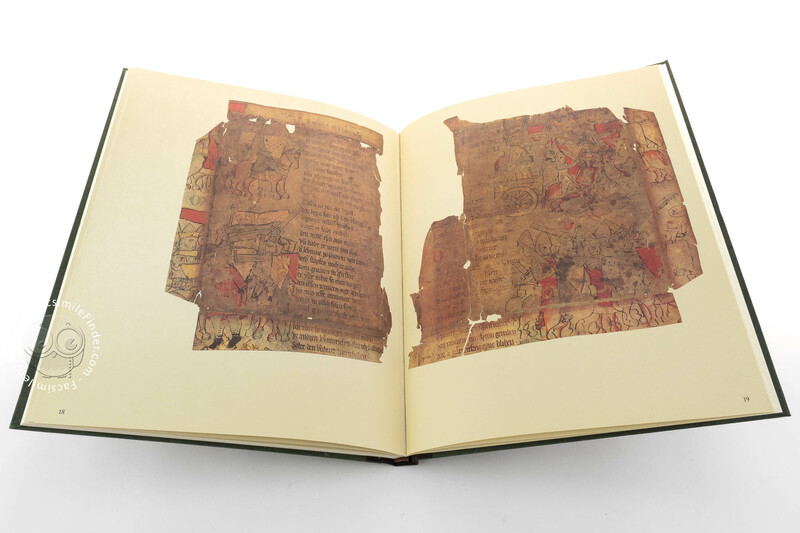 Some of the pages are preserved in a fragmentary condition. 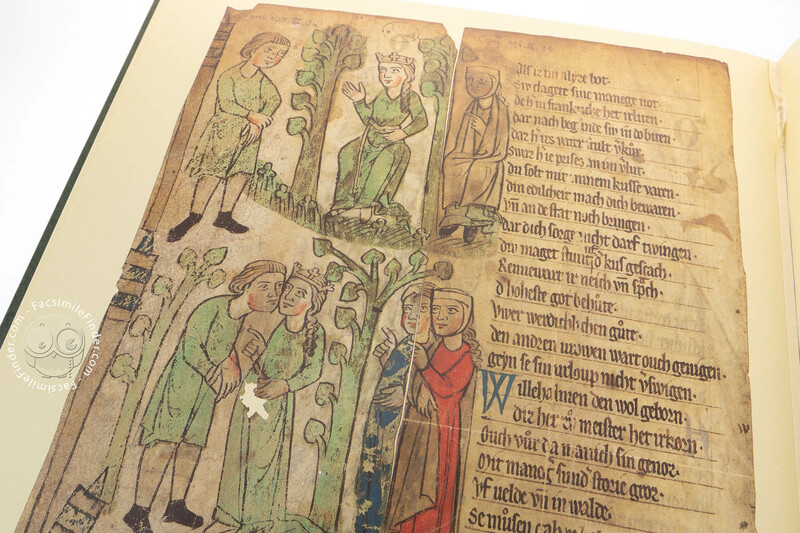 These leaves are important because they were produced around 1270 and represent the most antique copy of Wolfram’s poem. 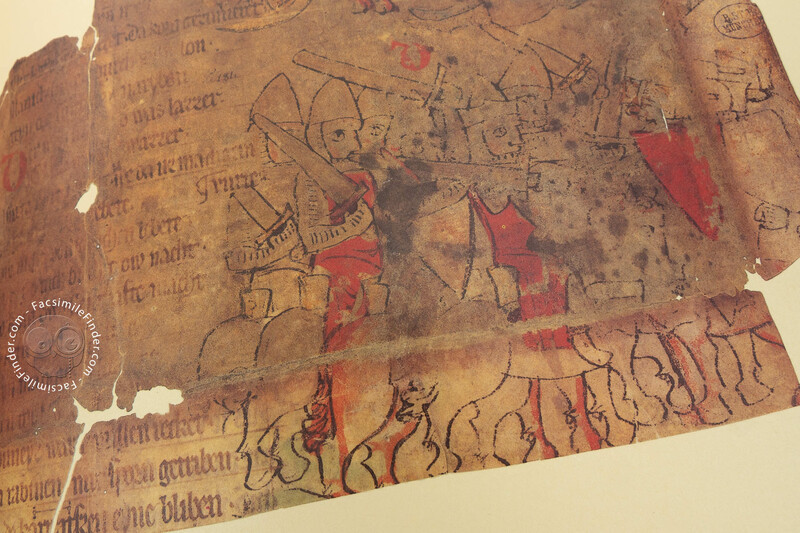 Wolfram von Eschenbach’s Willehalm was modeled on the Old French chanson de geste, La Bataille d’Aliscans, recounting how Guillaume d’Orange eventually defeated the Saracens at the battle of Aliscans. 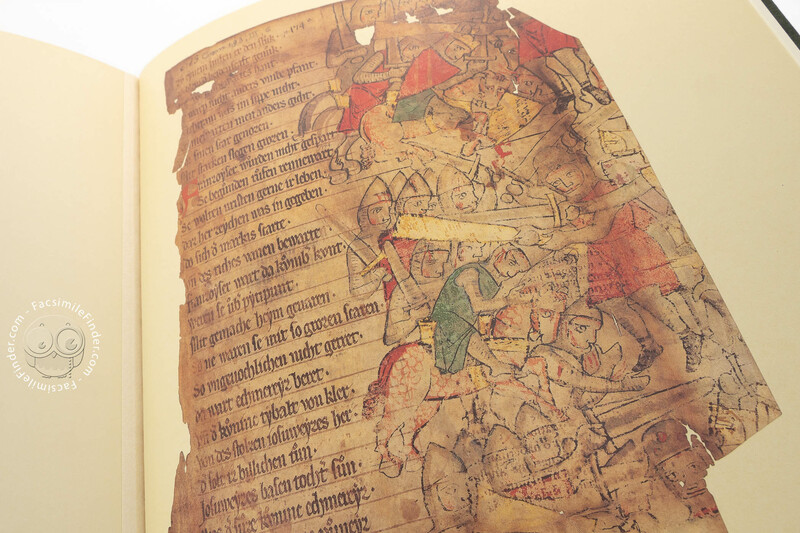 The poem tells of the love of Willehalm for Giburc, a Saracen woman who converted to Christianity. The author explores the tragic consequences of such conversion. Seeking revenge for refusing their faith, Giburc’s relatives started a religious war. 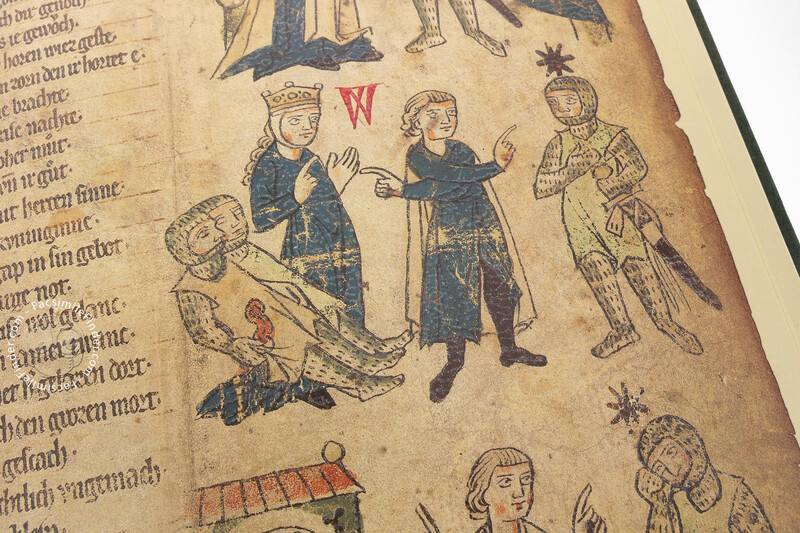 Wolfram described in details the two battles of Aliscans, with their immense loss of heroes, showing the cruelty involved in the medieval knightly model. In the poem, Wolfram was able to find a balance between the brutal records of war and the gentle scenes of love. 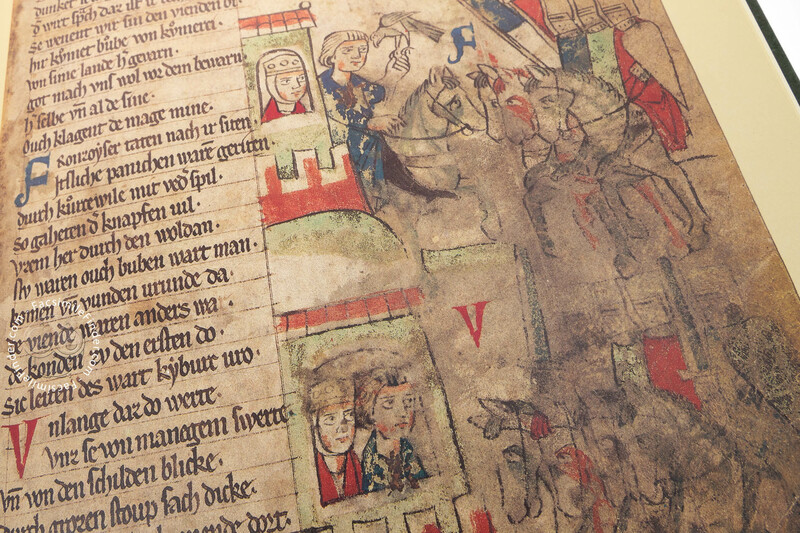 Willehalm deals with the struggle between Christians and pagans, a popular theme in Middle High German poetry. The author brings new concerns to the topic. 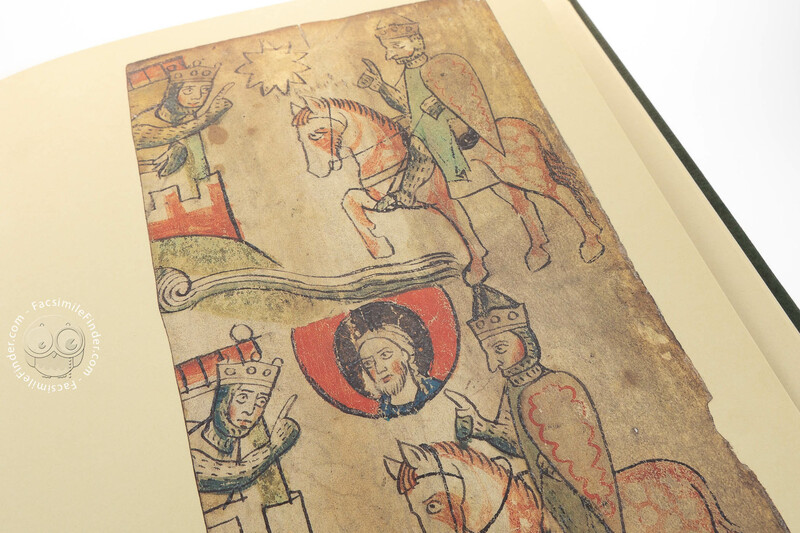 He departs from the traditional crusaders’ ideology of the battle against evil on behalf of the realm of God. 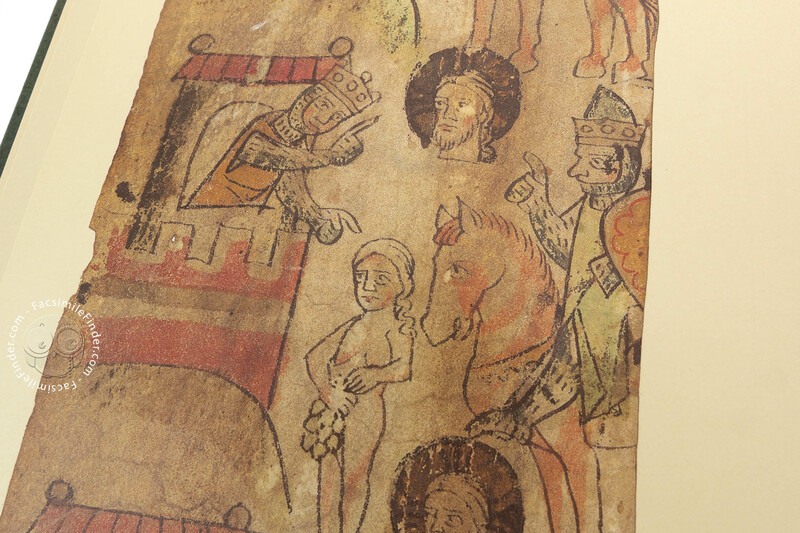 Focused more on the human aspects of the figures that populate his narrative, he recognized to pagans their own religious and ethical habits, thus keeping them to an equal level as Christians. 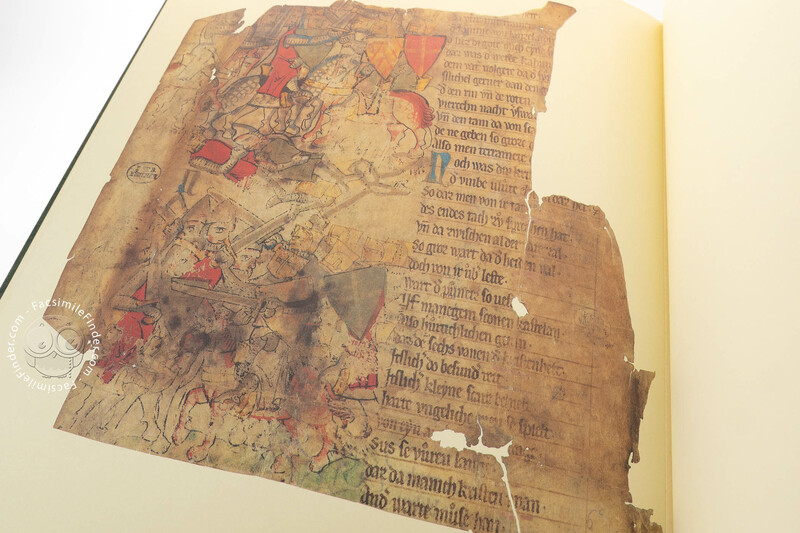 This manuscript is probably the finest version of the Willehalm epic. 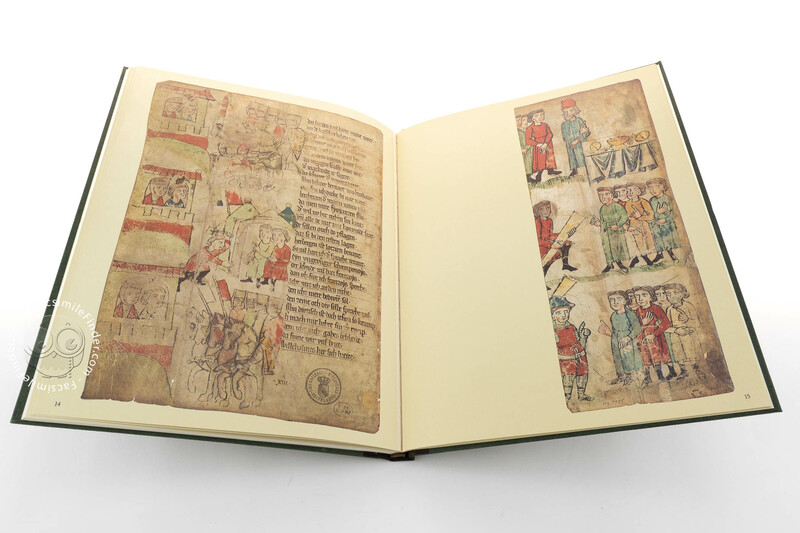 Vivid figures illustrate the poem in column pictures embellishing the pages with exuberant decoration. 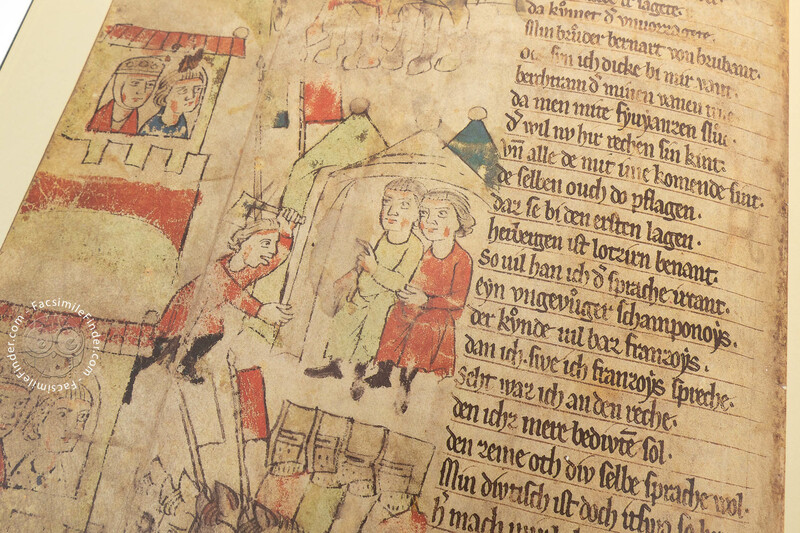 Ornated initials along with the 117 illuminations accompany the medieval story of courtly love. 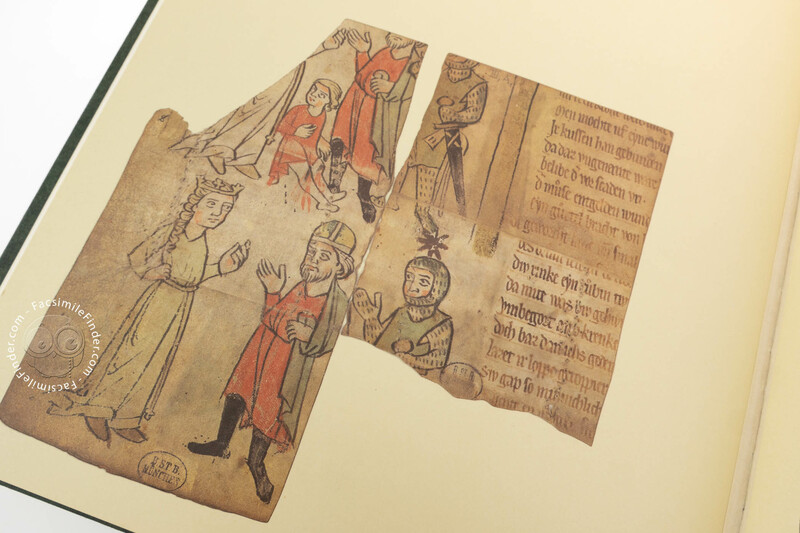 The illuminations in Vienna and Nuremberg are of extreme importance because they shed light on the transition in the literary culture of lay people from an oral tradition to a written and painted experience. 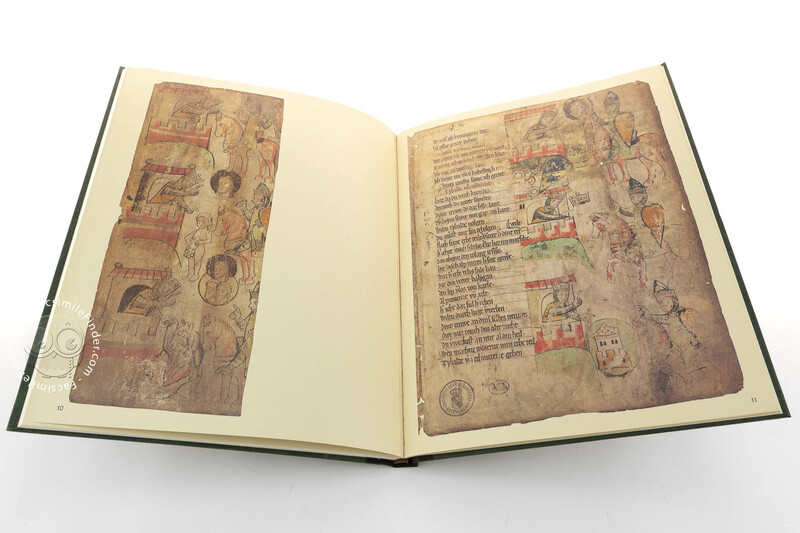 Manuscript book on parchment − 32 × 25 cm − 20 pp. 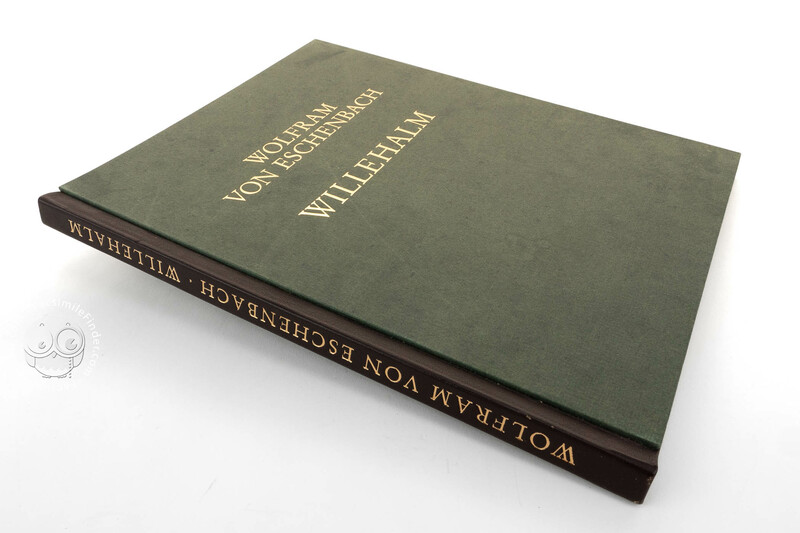 Full-size color reproduction of one or more portions of the original document, Willehalm - Wolfram Von Eschenbach: the facsimile attempts to replicate the look-and-feel and physical features of the original document; pages are trimmed according to the original format; the binding might not be consistent with the current document binding. 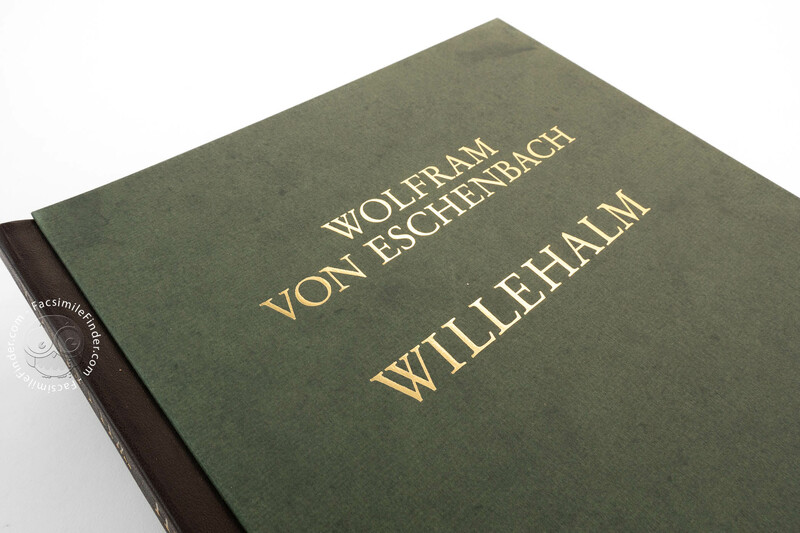 The facsimile is an unabridged reproduction of all the fragments of the Willehalm - Wolfram von Eschenbach that was once an individual document. 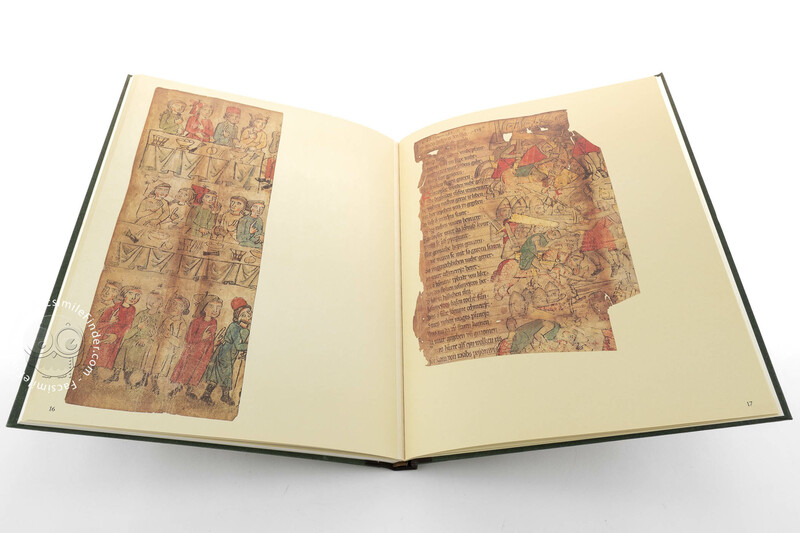 52-page introduction text and 20 facsimile plates, in the format 25x32cm.